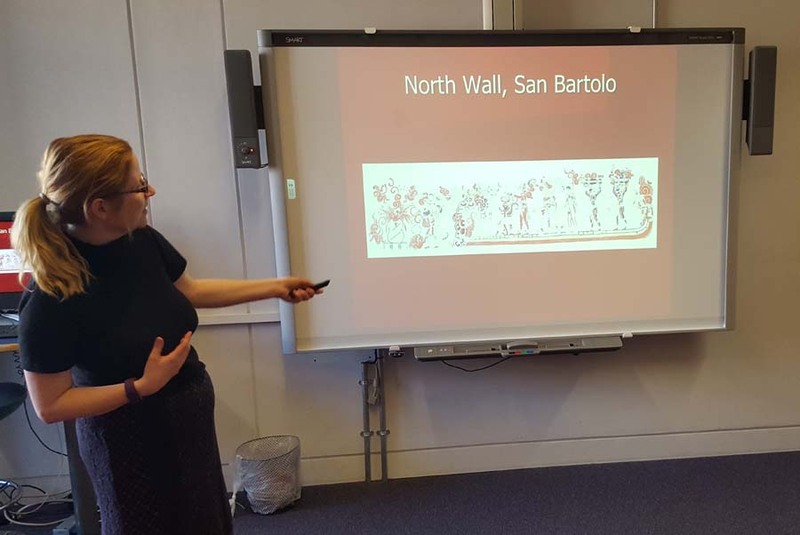 I speak at a variety of meetings and events about the art and architecture of the ancient Maya, my research in the rainforest and general archaeology topics. Who owns the Past? Probus Club of Beaconsfield, Beaconsfield. If you would like to read further on the Maya then go to my resources page. Painted Vessels of the Maya. U3A Archaeology Group, Wendover. 13 November. The Magnificent Maya. Guatemalan Families Association Annual Event. 14th April. The Ancient Maya and Life in the Rainforest of Guatemala. Probus Club of Beaconsfield, Beaconsfield. 11th January. Misunderstandings of the Ancient Maya as revealed by the Murals of San Bartolo, Guatemala. Lincolnshire Historical Association, Sleaford. 3rd November. Men as Gods: Ancient Maya Kingship. Berkshire Archaeological Society, Reading. 15th October. The Maya Civilisation and Caracol Charity. The Caracol Project fundraising event, Amersham. 15th September. The Discovery and Decipherment of Maya Writing. U3A Archaeology Group, Wendover. 12th July. Introducing the Ancient Maya to the Classroom. Historical Association Annual Conference, Harrogate. 20th May. Misunderstandings of the Ancient Maya as revealed by the Murals of San Bartolo, Guatemala. Buckinghamshire Historical Association, Aylesbury. 17 February. Engaging Minds Lecture. Verulam Secondary School, St. Albans. 6th October. The Magnificent, but Misunderstood Achievements of the Ancient Maya. Chess Valley U3A History Group, Chesham. 13th June. My Life as a Maya Archaeologist. Wendover U3A Archaeology Group, Wendover. 12 May. Making the Invisible Visible: The Use of Chemical Analysis in Revealing Past Activities at the Maya site of San Bartolo, Guatemala. Paper presented at the Day on the Maya Conference. 29 November, Institute of Archaeology, UCL, London. The Invented Past: The Creation and Re-creation of Social Identity. Paper presented at the 110th Annual Meeting of the American Anthropological Association, 16th-20th November, Montreal, Canada. Life and Death at the Archaeological Site of San Bartolo. Co-authored with Shintaro Suzuki. Paper presented at the 109th Annual Meeting of the American Anthropological Association, November, New Orleans. Los Entierros Humanos del Sitio Arqueologico de San Bartolo, Peten, Guatemala. Co-authored with Shintaro Suzuki. Paper presented at Universidad Autonoma de Yucatan, October, Merida, Mexico. The Value of Chemical Analysis in Understanding the Function and thus Activities carried out in Ancient Structures: Results from the Maya site of San Bartolo, Guatemala. Paper presented at the 75th Meeting of the Society of American Archaeology, April, St. Louis. Social Memory and Identity as reflected in the Reuse of a Residential Group at the Maya Site of San Bartolo. Paper presented at the 42nd Annual Chacmool Conference, University of Calgary, November, Calgary, Canada. Investigando un grupo residencial en el sitio Maya de San Bartolo: Uso y Reutilizacion. Paper presented at the XXIII Simposio de Investigaciones Arqueologicas en Guatemala, July, Guatemala City. Guatemala. Reuse of a Late Preclassic Residential Group at the Maya site of San Bartolo. Paper presented at the Society for American Archaeology 74th Annual Meeting, April, Atlanta. What is Old is New Again: Patterns of Reuse in San Bartolo’s Late Classic Reoccupation. Co-authored with Astrid Runggaldier, Jessica Craig, Monica Pellecer and Roxzanda Ortiz. Paper presented at the Society for American Archaeology 73rd Annual Meeting, April, Vancouver, Canada.